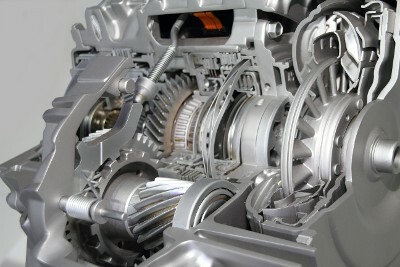 Your transmission is easily the second most important system in your vehicle after the engine. That means it is imperative that you not only maintain it with the proper preventative maintenance services, but also receive any transmission repairs in San Antonio, TX, it may require throughout the lifespan of your vehicle. The mechanics at our transmission repair shop have the experience, knowledge, and tools necessary to provide you with any transmission service you require, including transmission rebuilds. That is why so many people turn to Cartech Automotive & Transmission Repair when they are in need of any type of transmission assistance for their domestic or foreign vehicle. Not every mechanic is capable of working on a transmission and some mechanics that do aren’t able to perform all of the different types of work this system may require to work like new again. Luckily, the team at our transmission repair shop can do it all when it comes to getting your transmission running like new again. We understand this complicated auto system and look forward to helping you save time and money with our full-service assistance. What types of transmission services can you expect when you bring your vehicle to our professionals? We can perform everything from routine maintenance and preventative services to comprehensive repairs, replacements, rebuilds, and differentials. If it is involved with your transmission, our team can help. Transmission rebuilds and repairs have a reputation of being expensive. Our transmission repair shop wants to help dispel some of those rumors by providing our clients with free estimates. This helps you learn, risk-free, just how much it will cost to get this important system of your vehicle working like new again. You might be shocked to find it much more affordable than you were originally led to believe. Part of our competitive costs comes from the fact that we actually enjoy working on transmissions. We understand this system, which helps reduce labor times and ensure you are getting the right repairs performed the correct way the first time. Additionally, take advantage of our Car Care Club Card for additional discounts and savings. Contact us to learn more about the best ways to repair your transmission. Our transmission repair shop is dedicated to assisting customers located throughout the communities of San Antonio, Helotes, Leon Valley, Pipe Creek and Bandera, Texas.